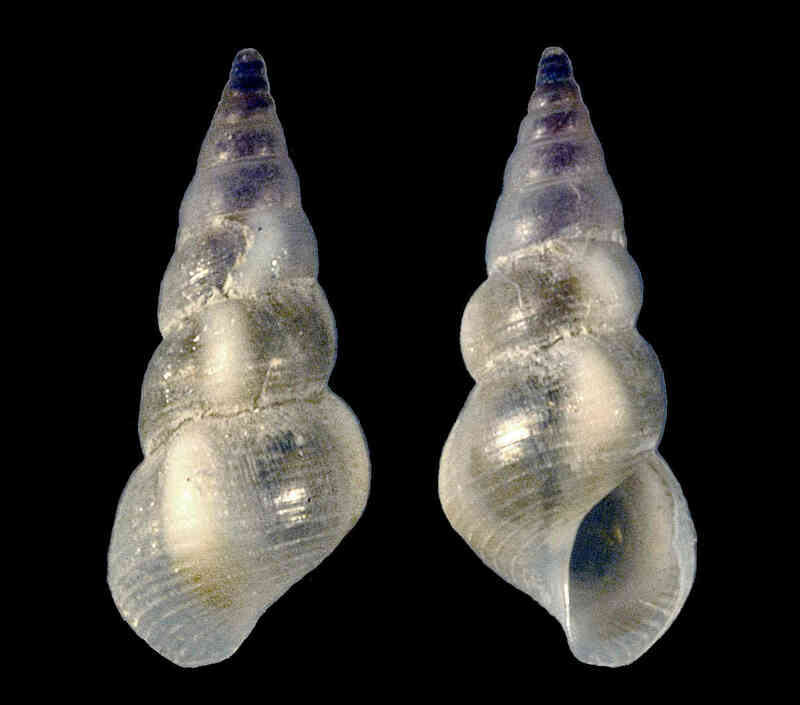 Shell size to 5 mm; shell smooth, elongate, thin-walled, translucent, with 10-12 whorls. Thick, 2-3 opaque varices present on each whorl. Sculpture of 6-8 fine spiral grooves per whorl; spiral grooves 14-16 on last whorl, including on base. Shell color light-brown to greenish, sometimes with small white flecks. Found on seaweed or sea grass.